Q: LGD also announced plans to invest around $8.5 billion in OLED capacity in the next three years. We know you have committed to a Gen-6 flexible fab. Any thoughts regarding possible OLED expansion plans? We cannot comment on further investment plans in detail. However, the company maintains its policy of making investment decisions based on market conditions. Q: According to reports, LGD is set to establish an OLED alliance with several TV makers. Can you comment on that? We cannot comment on specific plans about the alliance as this is a confidential issue related to customers. 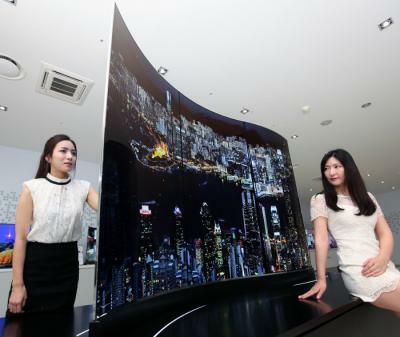 However, recently LG Display and several Chinese TV makers including Skyworth, Konka, Changhong, and Haier have established an OLED base to cooperate in expanding the OLED market in China through the joint promotion of products and technology. The partnership is based on the differentiated values of OLED and its tremendous market potential. China is the world’s biggest TV market and it has the fastest consumer adoption rate for new technology as seen in the fact that premium TV market has been growing at an annual rate of 30%. LG Display established an ‘IPS (In-Plane Switching) base’ in 2008 and a ‘FPR (Film Patterned Retarder) 3D base’ in 2010 with major Chinese TV makers and achieved success through the partnerships. LG display recently had a ‘OLED Partners’ Day’ in Beijing, inviting Chinese TV makers to strengthen their partnership for OLED expansion in the China market, including promising more active joint marketing activities with major retail channels in China to promote OLED’s advantages. According to DisplaySearch, the Chinese OLED TV market is expected to grow at an annual 80% rate by 2018. Q: It seems that while TV makers promote curved TVs, consumers are more interested in flat TVs. LGD finally launched flat OLED TVs last month. Why is it that you insist on promoting curved OLEDs? How do you see the market share of curved vs flat OLEDs? OLEDs have a superior advantage in terms of design due to its flexible nature, while LCDs have limitations such as s distortion in viewing angle makes them less suitable to adopt the curved format. The market share between curved and flat screens is governed by market conditions and we are discussing the situation with customers. 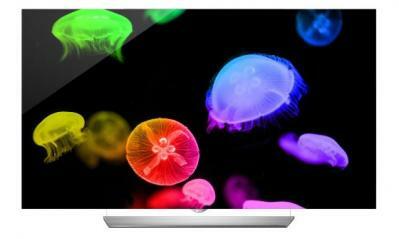 Q: When does LGD expect OLED TV prices to be on par with LCDs? Is that likely to happen within 1-3 years? The production capacity of OLED TVs is currently much smaller than LCD TVs. OLED TVs are targeted for the high-end market, which amounts to about to about 2% of the current TV market. However, we are making efforts to reduce the cost of OLED by expanding the market. The rate of cost reduction and manufacturing improvement for OLEDs has been much faster than for other display technologies over their life cycle. The cost competiveness of OLED will improve as the OLED market expands due to rising economies of scale. Q: LGD has been developing flexible OLEDs for years, and it seems that those displays are finally entering the market for real. How do you see flexible displays affecting the display market? More customers are highly interested in foldable displays. 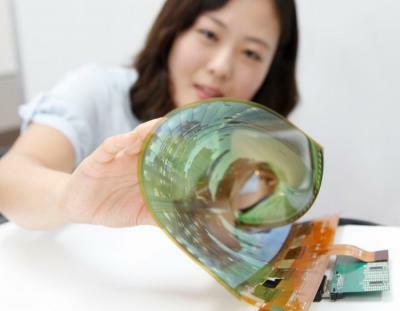 Foldable display shows the true advantages of OLED, and we expect it will be a big contribution to OLED market expansion. Q: Will flexible OLEDs remain on the small form factor (for wearables or phones) or do you see larger flexible OLED applications soon? We continue to conduct R&D on applying flexible OLED to larger sizes. Q: One of the most exciting applications for OLEDs are foldable phones - that open up to become tablets. Is that something LGD is developing? Do you have an estimate as to when such a device can hit the market? We are currently in the R&D stage to meet technical reliability. We are working hard to be able to enter the market when customers and the market are ready for the technology. Q: LGD is also developing large sized flexible and transparent OLEDs. Is it realistic to produce such TVs by 2017 as was the original plan? Is that development effort still on track? There are technical barriers, but the project is progressing. Q: Samsung is now starting to bring large-sized transparent OLEDs to the market. Will LG follow with its own transparent OLEDs? Do you see this as a viable market? As mentioned above, we are working on large-sized transparent OLED. Q: Now let's turn to some technology questions... We know that currently LGD produces OLED TV panels using its WRGB architecture, an evaporation process and using Oxide-TFT backplanes. Is that the technology of choice for LGD moving forward too? For now, we consider the technology is optimal for large sized OLED. Q: We know that LGD is interested in inkjet printing. Do you see such deposition technologies being used for mass production in the near future? We think a soluble technology is essential for OLED expansion, and we are studying different technologies including inkjet printing. Q: Some critics say that a direct-emission (RGB) TV will offer a better image quality and be more efficient. WRGB (WOLED) was a great success for LGD, but are you still looking at simpler designs such as direct-emission? The WRGB is currently the most optimized technology for large sized OLED. In terms of picture quality, it is also the best solution for high resolution with accurate color expression and wider viewing angles. Q: Finally - where do you see the OLED market within 5 years? Will it become the leading and most popular display technology? As mentioned in the CEO’s keynote speech, the answer is ‘yes’. We expect OLED TV will be particularly strong in the premium segment, while OLED will appear in more devices and in different formats and sizes due to its picture quality and dynamic design. Thank you for your time, and good luck to LGD in their exciting OLED quest!